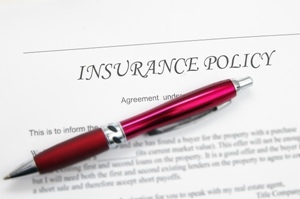 Should I Keep My Expired Insurance Policies? When an old insurance policy expires, it might be tempting to throw it out and replace it with the new one. However, according to several risk management experts, you should hold on to your expired policies for at least several years after they expire. According to the Nonprofit Risk Management Center, which provides insurance advice to nonprofits, you should hold on to expired policies indefinitely. While you might think that expired policies are useless once you renew your insurance, they are actually extremely important, especially for liability coverage. Liability claims might arise years after the incident, and your current policy might have different terms than the expired policy that was in place during the incident. For this reason, it is always a good idea to have expired policies on hand. While state law generally mandates that insurance agents keep their clients’ expired policies for 6-7 years after expiration, policies can occasionally be lost or misplaced. For peace of mind, you should keep your own expired policies. If you don’t want the clutter of paper policies many policies are now available electronically, or you can always scan your hard-copy policies to create computer files for easy and convenient access in the future. If you have any other questions about your expired insurance policies, please feel free to contact your broker at Tegner-Miller Insurance Brokers. We can be reached at 310-828-9662.